ERIE, Pa. — Snow continues to fall in Erie, Pennsylvania, and surrounding areas that already have seen a record amount of snow over the past few days. 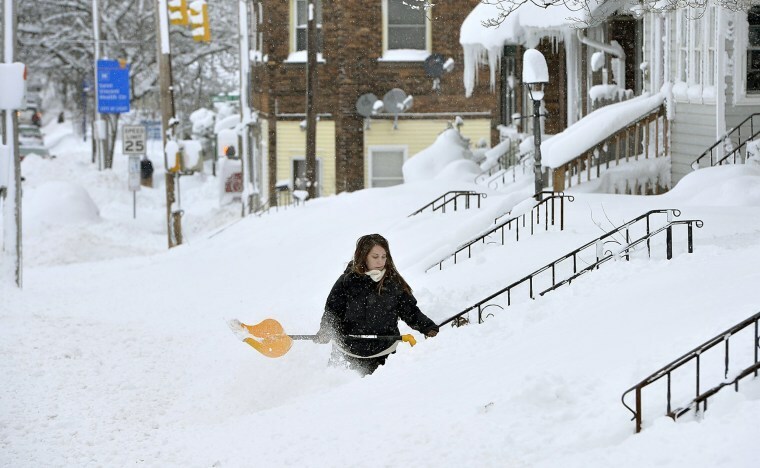 The storm brought 34 inches of snow on Christmas Day, an all-time daily snowfall record for Erie. The previous record was the 44 inches that fell in Morgantown in March 1958. Another 24.5 inches fell by Tuesday night, bringing the total since Dec. 23 to more than 62.9 inches. Erie issued a snow emergency, citing "dangerous and impassable" roads. It asked residents to stay off streets until the snow stops and roads can reopen. State police and the state Department of Transportation are urging people to avoid travel, citing poor visibility and deteriorating conditions.